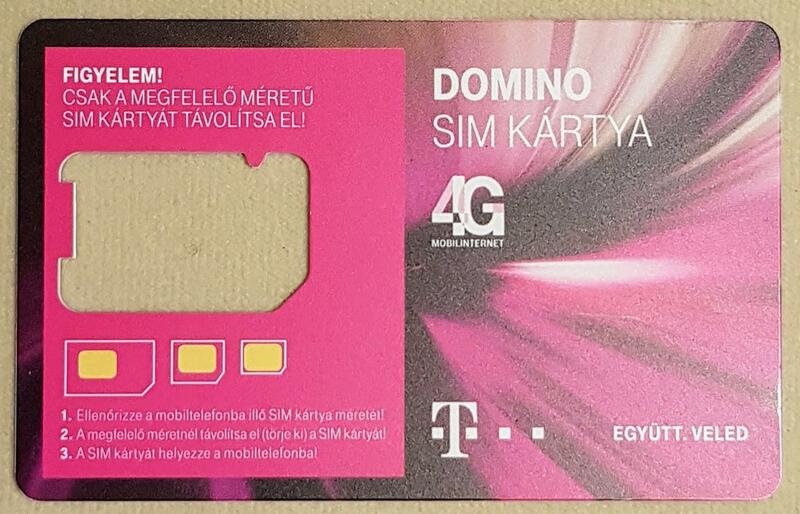 In Budapest, you can buy "DOMINO SIM KARTYA" SIM cards for 990 HUF (and no paperwork), with 500MB of data. The problem is that the card doesn't seem to register on my Android phone. The only website I can access is telekom.hu, and their 1777 support number has no operator option, and the recorded voice prompts are in terrible English. Calls and SMSes don't work either. How can one activate data on this SIM card? If you don't have an ID card issued by the Hungarian authorities, you are asked to visit one of our stores. An ID card issued by another country cannot be verified in the Hungarian register, you have to show your entry or residence documents to our colleagues. Of course this is also written in an interesting English dialect, but the point is crystal clear: you need to go to a Telekom store to get this verification done. Have your passport with you or Hungarian residence card if you have one. Activation is the next, relatively easy step which will be done in store. In Hungary typically there's no reason for insane amount of red tape, but in this case there is: organized crime previously bought an insane amount of SIM cards (some reports said 200 000) with the ID of a homeless person and some of that landed in the hand of the terrorists in Paris and Brussels. Opsie. Of course, they had inside help but still, they don't want this to happen again. Treat it as a genuine Hungarian experience as the poor sods there need to deal with this much red tape all the bloody time. I just tried this (bought the Domino card at Media Market), called the number, and the operator said that starting earlier this year, they will only activate the card if you have a Hungarian government-issued ID. Not sure if it's the same for other carriers like Vodafone, who I also saw in the mall. I actually went to two T-Mobile shops and they were both sold out of Domino cards; in both stores they said tourists buy them all, so I guess there are a lot of us carrying around useless (for us) SIMs. Not the answer you're looking for? Browse other questions tagged cellphones hungary or ask your own question. Can I buy pre-paid data plan in France for 4 weeks, without speaking French? Are short-term visitors in Japan allowed to buy voice-enabled SIM cards? How can I check if my (unlocked) phone will work with a particular country's SIM cards, for 3G and calls? Are there any Pre-Paid SIM cards available for Tourists in Brazil?